Scroll down to see the 4 great ways to support us! We’re on a mission to Remember, Honor and Teach. 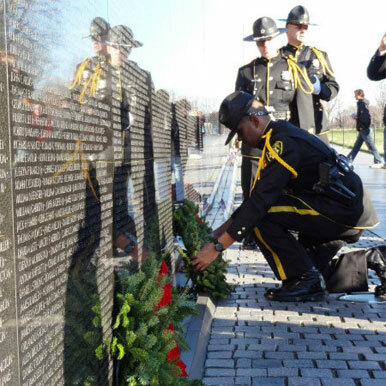 Join us by sponsoring a wreath to be placed in honor or in memory of a veteran this December. Help us ensure that the sacrifices of our heroes are never forgotten. A child, a parent, a neighbor, a friend: What better way to honor the service of a loved one and remember their sacrifice than by sponsoring a wreath in their honor or in their memory? This type of wreath is for anyone who wants to sponsor “in honor of” a living veteran. This type of wreath is for anyone who wants to sponsor “in memory of” a fallen hero. Choose this option if you would like a Remembrance Wreath to be placed at a specific marker within a participating cemetery location. 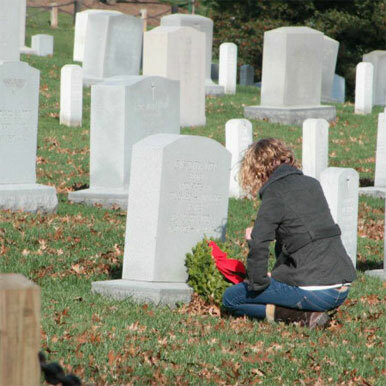 When you sponsor a Patriot Pair, one wreath will be placed at one of 1,200 cemeteries across the nation and a second wreath will be sent to the address of your choice. On Wreaths Across America Day or anytime, anywhere, you can show your support for our mission to Remember, Honor and Teach. Browse an exclusive selection of Apparel, Gifts, Decor and more. 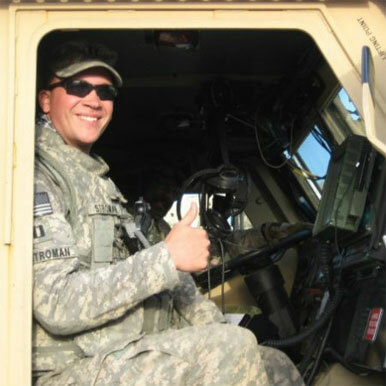 Receive the latest news, updates, and the stories from our mission to Remember, Honor, and Teach about the service and sacrifice of our veterans, and their families. Yes - I Want The Weekly Newsletter!